We do a lot of heavy lifting at The Advanced Construction Group. We utilize special equipment to help us perform the work we need to do to accomplish a project safely for our employees and our clients and you could too. With the rental of our boom truck we provide a certified operator and all the rigging straps and shackles needed to complete the job safely. 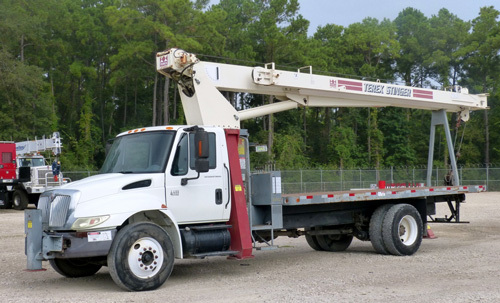 Our boom truck crane has a two stage telescoping jib to reach greater distance to create a safe working environment for your employees and customers. Use of our boom truck to help you install and lift heavy equipment and materials. Below is a list of who we lift for and samples of what we can lift for you.